Bemærk: legaliseringsomkostninger til den Thailandske ambassade jf. gældende tarif (pt. kr. 120,- pr. dokument). Note: legalization fee to the Thai Embassy according to current rate (presently Dkr. 120,- / pr. document). Payment must be made with cash only. Kindly enclose the fee in cash and a self-addressed envelope with appropriate postage (registered mail only) so that the Embassy can return the document(s). Approximately postage stamps is 120 kr. for Denmark and 150 kr. for outside Denmark. Please contact Postnord for further information on postage stamps. Applications from Germany, kindly enclose 40 euro in cash per document. 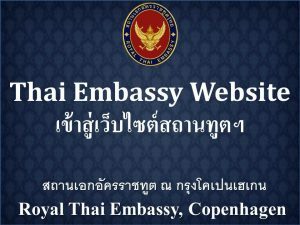 The Royal Thai Embassy in Copenhagen does not hold the power to certify other nationals’ signatures. Therefore, we required you to first have your signature signed, witnessed by a Danish solicitor or a Notary Public and then send your document(s) to be legalized by the Danish Ministry of Foreign Affairs. 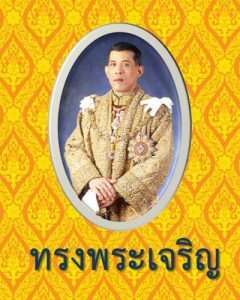 After the mentioned process is completed, you can send the document(s) to be legalized by the Royal Thai Embassy.